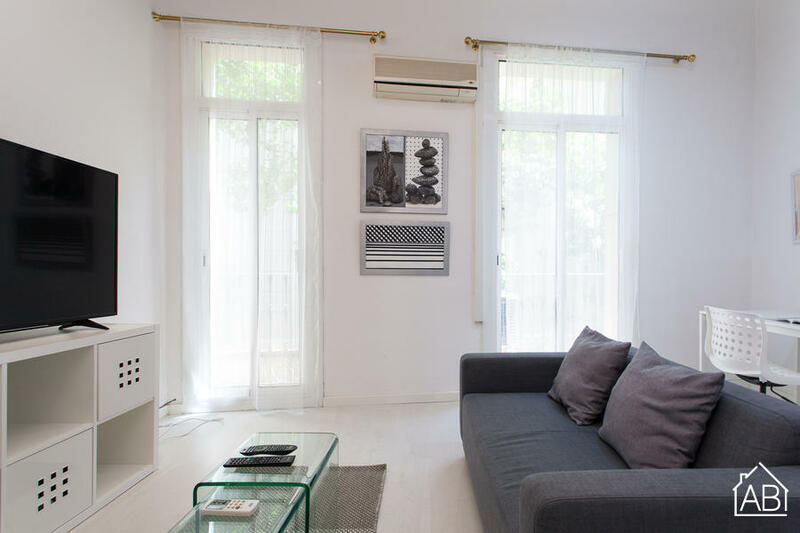 Situated just a 10-minute walk from the famous Passeig de Gràcia, this modern apartment offers a balcony, air conditioning and free WiFi. It is located just 700 metres from Joaníc metro station. The apartment sleeps up to four people across four single beds and has a lovely living room with a comfortable sofa and a flat-screen TV. There is a modern kitchen, which includes a microwave, kettle, toaster and oven, as well as a dining area complete with a table and chairs. Passeig de Sant Joan is less than a 5-minute walk away from the apartment and the popular Sagrada Família neighbourhood is just 10 minutes away. Gràcia is home to plenty of bars, cafés, restaurants and supermarkets and makes a great choice for those interested in local culture, city life and shopping.